What is high end Blu-ray player? For one who cares little about technology, they even never heard this proper noun before. 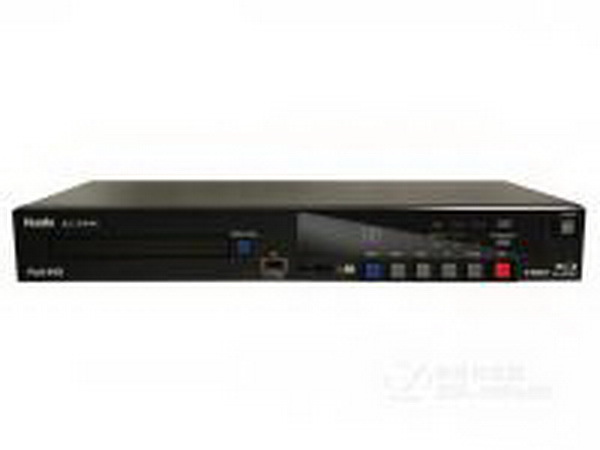 Actually, Blu-ray player adopts the technology of Blu-ray, researched and developed by Sony Corporation, who introduced the first BD recorder BDZ-S77 on April 10th, 2003. Through Blu-ray disc, Blu-ray player can realize 1080p HD format output with 1920*1080 resolution through HDMI interface. 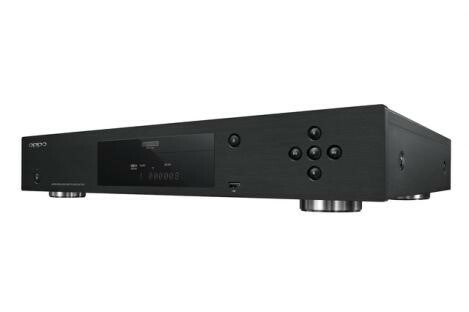 If you buy high end Blu-ray players now, many advantages you can enjoy, for instance, 5 times resolution (PAL 720*576), 6 times resolution (NTSC 720*480), BD-Live function and over 7.1-channel DTS -HD sound quality, etc. However, with so many powerful functions, high end Blu-ray players cost you much more money than you cost on common players. After all, " Beyond High Definition" is not nonsense. In this article, more information and merits about high end Blu-ray players will be introduced. Blu-ray is a digital optical disc data storage format. It was designed to supersede the DVD format and is capable of storing several hours of video in high-definition and ultra high-definition resolution. The main application of Blu-ray is as a medium for video material such as feature films and for the physical distribution of video games for the PlayStation 3, PlayStation 4, and Xbox One. 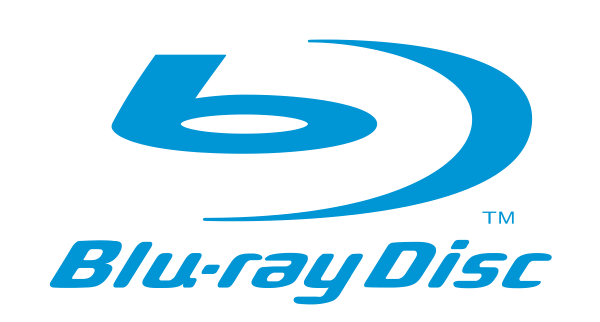 The name "Blu-ray" refers to the blue laser (violet laser) that is used to read the disc, which allows information to be stored at a greater density than is possible with the longer-wavelength red laser used for DVDs. Maybe you would like to burn your favorite movie to a Blu-ray disc and comfortably watch the Blu-ray movie at home with cinema-like watching experience. Then you would like to find a good Blu-ray burner to burn your Blu-ray discs. And you can stop here to have a look at this article for some information about in internal burners and Blu-ray burning. By referring to the above information, it seems clear that we will have many versions of films, CAM/TS, TC, SCR, HD, and BD. CAM/TS is a version is recorded in theater, dark and indistinct; TC, a version copied from film using professional equipment, dark with poor quality; SCR is a preview version before the official DVD launch, generally used for promotional purposes; HD and BD, both have higher quality and resolution. However, everything will have a comparison. I will elucidate more about what you could enjoy from high end Blu-ray Player. By explaining most of the version, we could see BD has higher resolution compared with HD, with 5 times resolution (PAL 720*576) and 6 times resolution (NTSC 720*480) can be offered. Therefore, you can obtain high-quality images while watching a film. There is no need to be concerned about the blurred face of your beloved stars, easily getting pleasure and satisfied after finishing it. In addition to providing high-definition video, high end Blu-ray players also provide extremely high sound quality compared to regular DVDs. It could provide audience with up to 7.1 channels of DTS -HD sound quality, greatly surmounting the high compression audio of DTS 5.1 in the DVD era. The excellent experience you could enjoy with HD audio and BD resolution. Blu-ray discs are 5-10 times larger than ordinary DVDs in capacity, therefore, the ordinary DVD players cannot support Blu-ray disc playback. For DVD disc cannot bear the weight of HD data, high end Blu-ray player can have much more capacity to carry it and achieve full HD enjoyment. As for the network, high end Blu-ray players have been greatly improved. The distinct is BD-Live function, which allows customers to download some movie news, trailers and even games, in order to gain better use. In addition, for this function, it is more convenient for customers to get more other resources. Since high end Blu-ray players has ideal quality definition audio and image now, many customers will be apt to buy it. However, what should we notice before buying one? Next, I will give some reference to you. BD player can support HD 1080p, DVD(480p), CD and some other format. Some even support 3D Blu-ray disc. Even though UHD BD player could support UHD 2016p, it costs much more money than common BD players. If you possess only HD televisions, I suggest you buy a BD player for lower price. Some players have dual HDMI output. If your AVR or preamp can’t transfer 4K, HDR or 3D video from your player to your monitor, then I suggest that you’d better choose a player with dual HDMI output. Or if your AVR or preamp is damaged, buy a player with dual HDMI output. Some players have comprehensive image processing functions. And if your player has Darbee image processing function, which exists in OPPO BDP-103D and BDP-105D, they are used to improve image quality. As for Panasonic DMP-UB900 UHD BD player, it has level adjustment function, used to adjust HDR output to match the performance of the display, which is quite practical and convenient. A part of Blu-ray players have streaming media application, like Netflix and YouTube. I suggest that you buy Blu-ray players with the kind of different streaming media application. It will offer you with more enjoyment in the watching. Some players have DAC (Digital to analog converter) and high quality analog audio output. The output of high end Blu-Ray player is generally XLR balance plug. 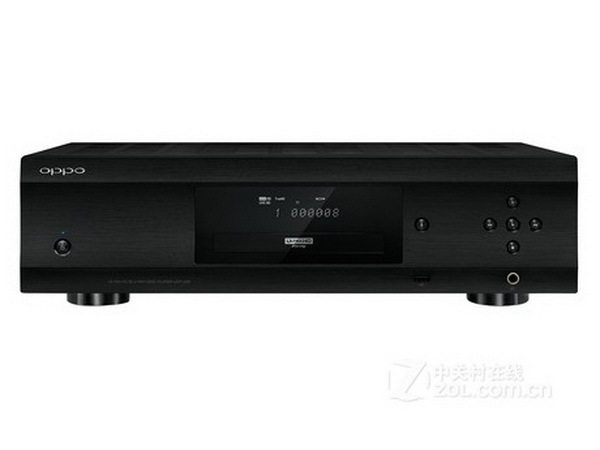 You’d better bear in mind that some players having DAC are OPPO BDP-105D Blu-ray player, OPPO UDP-203 UHD Blu-ray player and the coming SONY UBP-X1000ES UHD Blu-ray player. s we all know, some front panels of Blu-ray player has control and display function. And the other rely on user interface on screen to control and display. Thus, while playing audio disc, you have to open television. If you prefer to control your player directly, please purchase one that has front panel display and control function. Before you buy a high end Blu-ray player, you should have consideration of many aspects including its basic function and some other bonus features you crave for. Also, please put your budget into consideration. Then it’s probably to buy a satisfying high end Blu-ray player. Before you buy a high end Blu-ray player, you should have consideration of many aspects Having listed many notice points before buying a Blu-ray player, now what you are concerned about is which player you should buy or which brand you may choose. 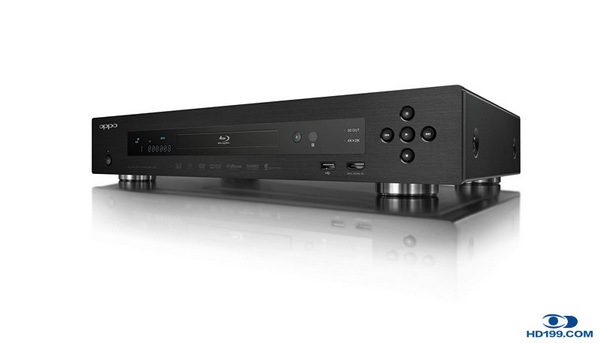 The following will release Top 5 high end Blu-Ray players to buy. This amazing Blu-ray player can support UHD Blu-ray，Blu-ray，Blu-ray 3D，DVD-Video，DVD-Audio，AVCHD，SACD，CD，Kodak Picture CD，CD-R/RW，DVD±R/RW，DVD±R DL，BD-R/RE. It’s a Hifi Blu-ray player. Meanwhile, it has BD profile function- BD-ROM Profile 6 and Built-in 802.11 ac WiFi. Nevertheless, it costs over $1,772. As expected, the one with powerful function is expensive. Like UDP-205, OPPO BDP-105D also supports lots of formats, like BD-Video，Blu-ray 3D，DVD-Video，DVD-Audio，AVCHD，SACD，CD，HDCD，Kodak Picture CD，CD-R/RW，DVD±R/RW，DVD±R DL，BD-R/RE. It has the function of BD-ROM Profile 5. This player costs lower than UDP-205, about $1,489. 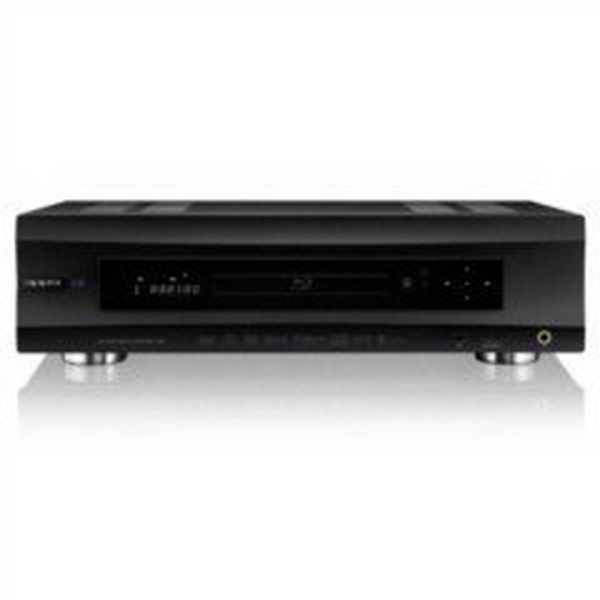 While talking about this domestic Blu-ray player, it supports BD-RE, BD -R, DVD -RAM, DVD -R/R DL/RW, BD-RE 25/50/100GB. Also, it has analog output and input function, HDMI digital audio input and output function. With such kinds of function, it costs you about $1,039. With many different version of OPPO Blu-ray player listed above, now I’m going to talk about another high end Blu-ray player for you. OPPO BDP-103D supports BD-Video，Blu-ray 3D，DVD-Video，DVD-Audio，AVCHD，SACD，CD，HDCD，Kodak Picture CD，CD-R/RW，DVD±R/RW，DVD±R DL，BD-R/RE，BD-R/RE DL. This cost is about $759. If you want to buy a player that can support 4K UHD Blu-ray or 3D Blu-ray, OPPO UDP-203 would be the choice that you should put into your consideration. It can support 4K UHD Blu-ray、Blu-ray、Blu-ray 3D、DVD-Video、DVD-Audio、AVCHD、SACD、CD、Kodak Picture CD、CD-R/RW、DVD±R/RW、DVD±R DL、BD-R/RE. In addition, it even supports 4K ultra-high definition image quality and HDR video technology. Besides, it has over 7.1-channels for HDMI audio and BD profile function. This costs $744. What an amazing player! Talking so much about top 5 high end Blu-ray players, you can see each has its own benefits. Based on this reference, you could compare each one and choose one to meet your requirement. However, if you would like to consider some free players for your computer, here I will push the best free Blu-ray player- Leawo Blu-ray Player to you, for its comprehensive functions which can meet most of your requirements mentioned. As a professional 4K Blu-ray disc player, all latest Blu-ray discs on the market could be played back on Leawo Blu-ray Player. Besides, it is also a free player that offers completely free service to play DVD, video (up to 1080p), and audios without any quality loss. With advanced audio decoding technologies like Dolby, DTS, AAC, TrueHD and DTS-HD, Leawo Blu-ray Player delivers superb audio effect for home theatre entertainment. What’s more, during playback, users could freely select subtitles or even load external subtitles, adjust video and audio. Leawo Blu-ray Player offers very user-friendly using experience, thanks to the easy-to-use operating navigation and full playback control. With the rapid development of technology, people will prone to search for higher requirement to meet their higher standard of life. High end Blu-ray player is a tendency to meet people’s video and audio demand, which ensures the best quality videos at home. If you don’t want to spend any money to buy a Blu-ray player with those functions, but would like the support of various formats, the excellent image and audio quality, and region-free Blu-ray disc playback, the best choice for you is the best free Blu-ray player- Leawo Blu-ray Player.